A critically acclaimed play set in the ultra-competitive world of semi-professional football closed last weekend after a hugely successful run at the Live Theatre in Newcastle. The Red Lion is a powerful, funny and touching drama that reaches beyond the beautiful game, exploring loyalty, ambition and what it takes to win, from the perspective of three different generations. Writer, Patrick Marber, specially adapted the play for Live Theatre and the North East by setting it in the Northern League and, from its opening on 6th April, played to packed houses. 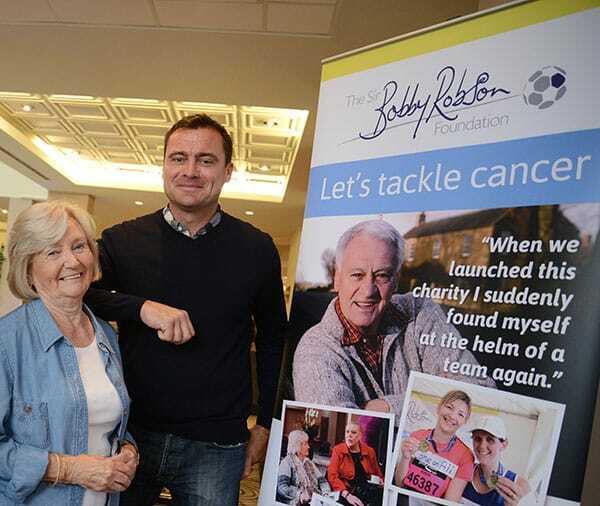 To celebrate, Live Theatre organised a special gala performance on Friday (5th May) in aid of the Sir Bobby Robson Foundation and raised £1,600 for the cancer charity. Gala performance tickets were strictly limited and guests eager to snap them up included Lady Elsie Robson and sons Paul, Andrew and Mark. As well as tickets to the play, the evening included a drinks reception and late supper from Caffe Vivo courtesy of celebrated restaurateur Terry Laybourne, alongside The Red Lion’s cast and creative team. 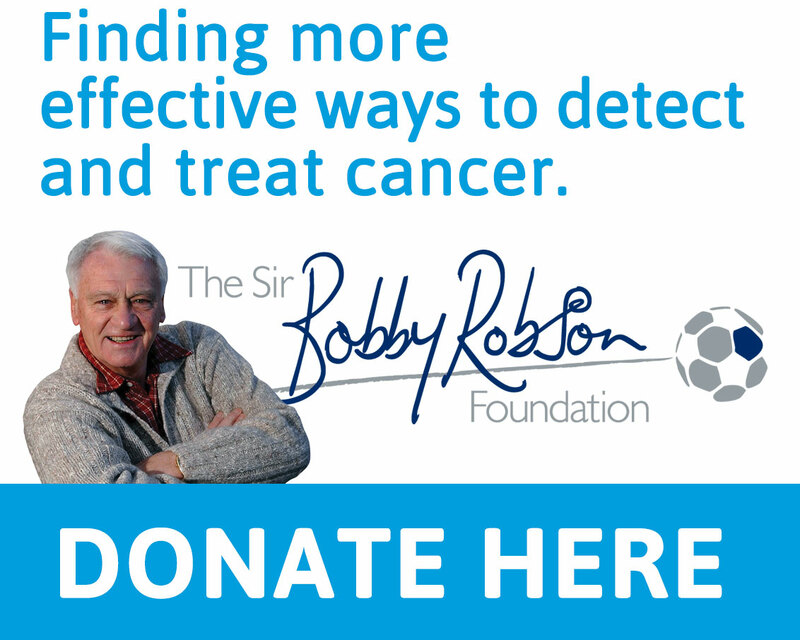 Lady Elsie says: “We had a very special night at Live Theatre and I’m sure Bob would have loved every minute of it. Lady Elsie with Jim Beirne, Chief Executive, Live Theatre. Picture by Richard Kenworthy. “As soon as we sat down for the play, we could smell the liniment. The attention to detail on the set was incredible. “The performance and the food were both marvellous and it was a treat spending time with such lovely people. Jim Beirne, Chief Executive at Live Theatre, and George Caulkin, a Patron of the Sir Bobby Robson Foundation and Football Consultant on this production of The Red Lion, both made short speeches to guests before the performance. The Red Lion starred Stephen Tompkinson, well known for his TV appearances as DCI Banks, and who previously appeared at Live Theatre as the lead in Faith & Cold Reading. He was re-united with Harrigan co-star John Bowler, who began his TV career in the film Ha’way the Lads playing Sunderland footballer Jimmy Seed and went on to feature in Auf Wiedersehen Pet, The Bill, EastEnders and Coronation Street. They were joined on stage by Dean Bone who has had lead roles in Live Theatre’s recent productions The Savage and The Terminal Velocity of Snowflakes, and who has just received the award for Best Newcomer at the Journal Culture Awards 2017. All pics below are by Richard Kenworthy.